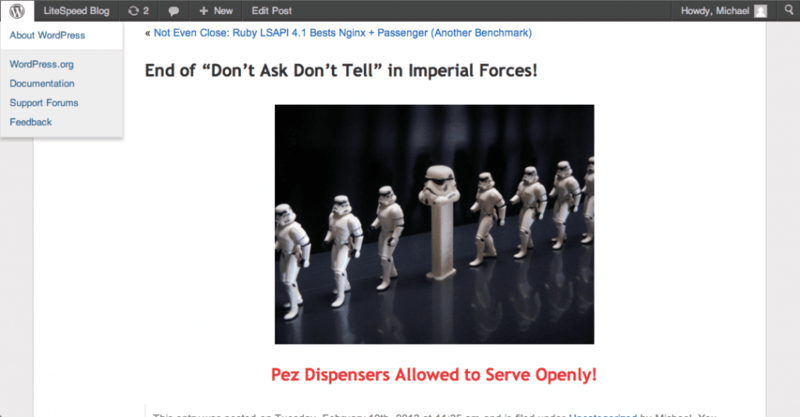 Here’s a plugin that will automatically repopulate your LiteSpeed Cache when an article gets updated on WordPress — enjoy LSCache speed and article updates without waiting for cache to expire. 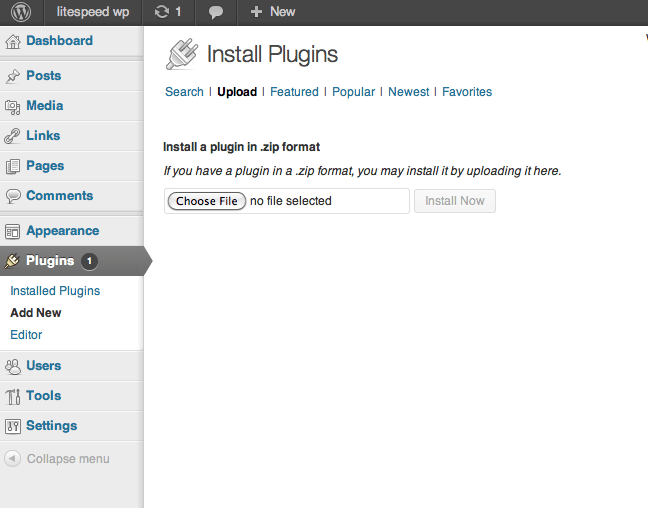 To install the plugin, just download lscache-purge plugin and add to WP plugins (Plugins => Add New => Upload). 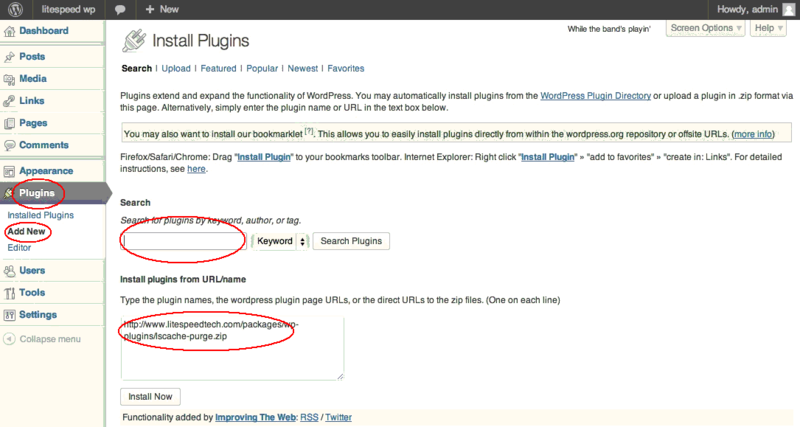 Or, install directly using the Search tab and the plugin URL (http://www.litespeedtech.com/packages/wp-plugins/lscache-purge.zip). Once installed, go to Installed Plugins and activate it. 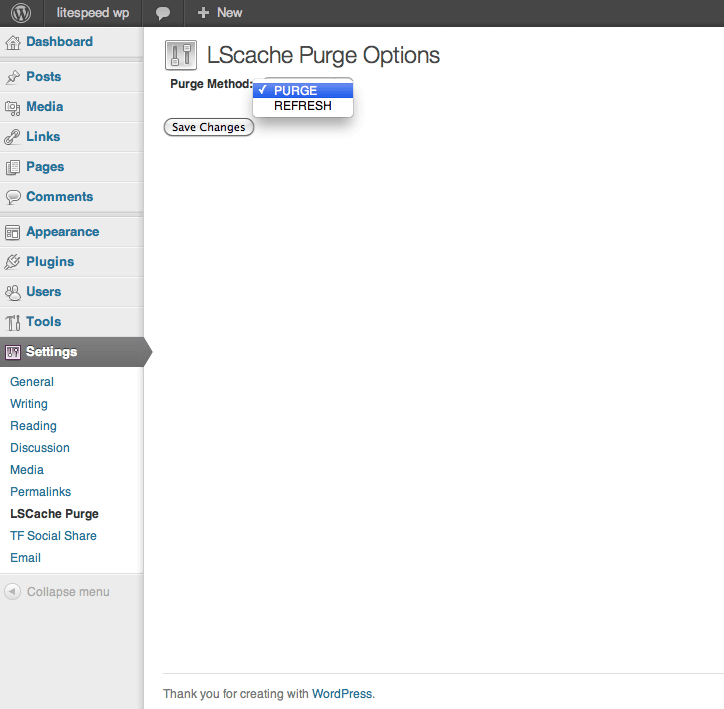 The plugin comes with GUI under Settings for choosing the purge cache method — purge or refresh. For details on refreshing the cache, refer to this blog entry. Next, enable LiteSpeed Cache, if you have not done so. 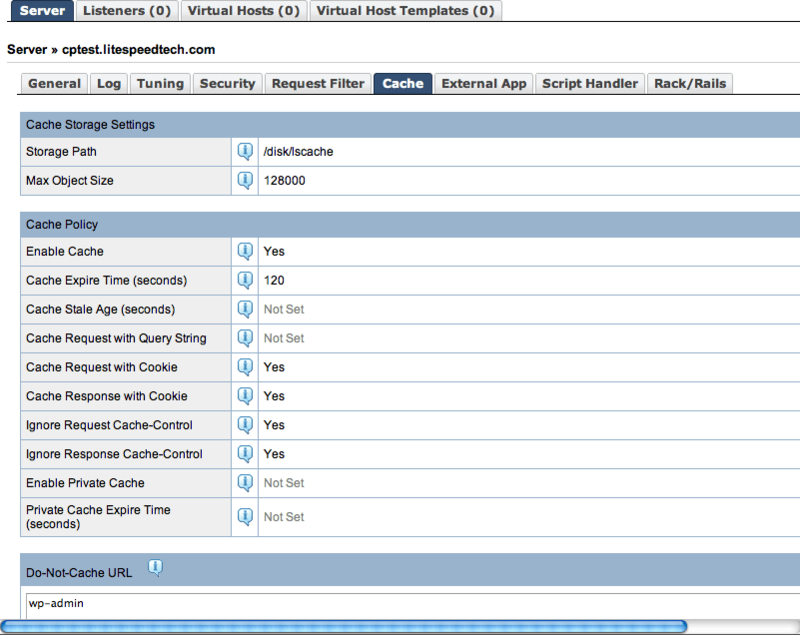 For more details on how to set up LiteSpeed Cache, refer to our wiki. Note the “Do-Not-Cache URL” box. It specifies URL patterns not to be cached. In this case, URLs that start with “/wp-admin” are excluded from being cached. That’s it. LSCache will take care of the rest. Have fun! Stormtrooper photo courtesy of Flickr user JD Hancock, licensed via Creative Commons. Do the LiteSpeed Cache WordPress plugin work perfect with Woocommerce Plugin (shopping cart plugin)? 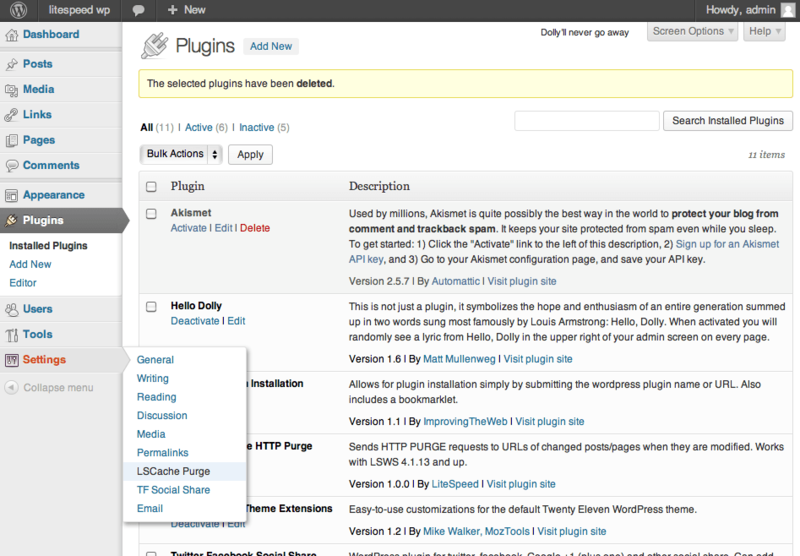 I didn’t see the plugin give us the option to exclude some pages. Can i know what we have to do if we want to use litespeed cache? The cache policy recommended here differs from the cache policy recommended in the LS Wiki. I have a site on which form data was not cleared between users after enabling cache request with cookie. Coincidence? The policy listed is just an example how the cache can be setup. it is up to host/user to adjust for their application. In your case, yes, turn it off. As most people who use this plugin won’t have access to litespeed’s settings, would it be possible for this plugin to add a few lines to the .htaccess file so it can run on servers with cache turned off by default ? It has been updated to a new version and will auto update. The message was due to an extra space after closing tag in the plugin file. You can edit the local copy or do fresh re-install. if time is allowed, we can improve the plugin. will let you know. you can keep cache as long as you want if your cache storage has enough space. You can set to 1 day to start with. The plugin generated 1 characters of unexpected output during activation. If you notice “headers already sent” messages, problems with syndication feeds or other issues, try deactivating or removing this plugin. Also, can the purge be improved so more changes will clear cache? Such as menu change? Also, what is a typical setting for how long to keep cache? Stale age is 10 seconds by default if Not Set. Other plugins will not be affected by LS cache (page cache). 1. Why do we not want to set a stale age? 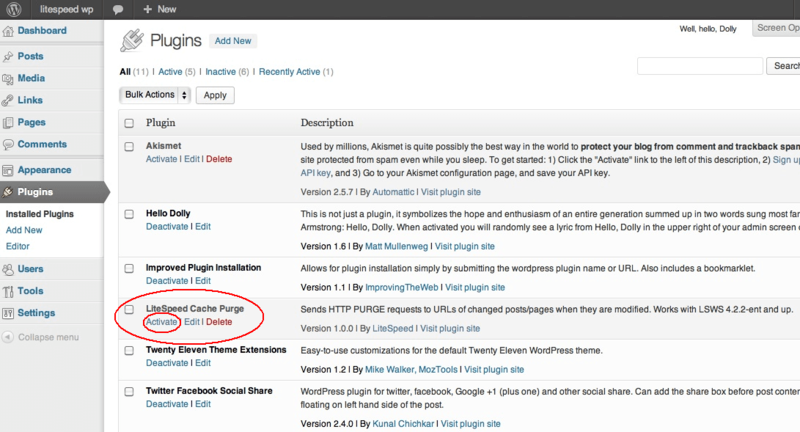 2. how will other plugins be effected that cache? quick cache, total cache….